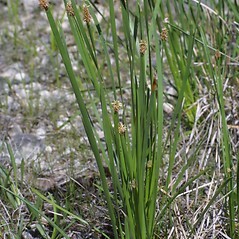 Flat-stemmed spikesedge is very rare in New England, being found only on lakeshores and limestone headlands in Vermont. 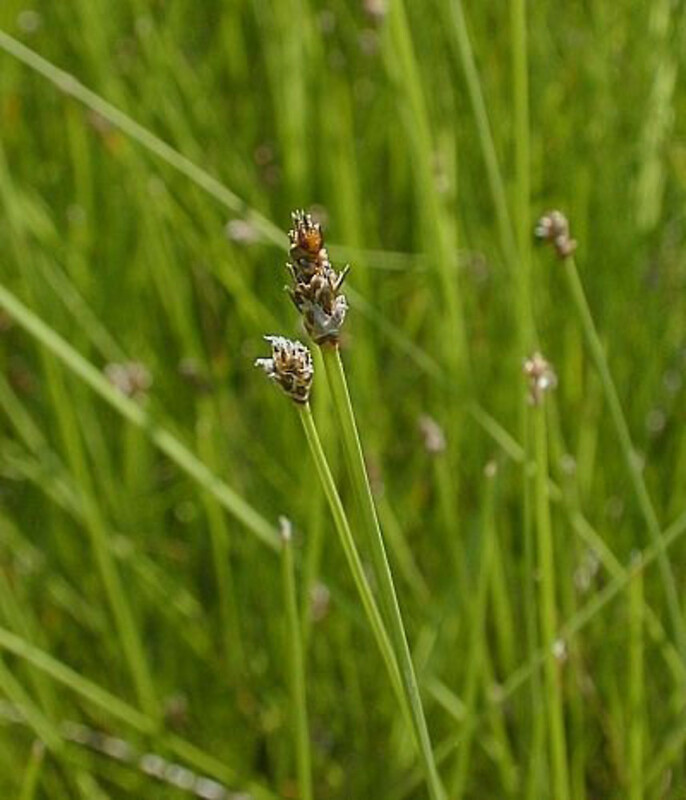 Indeed, it is listed as rare in several states throughout its primarily coastal-plain range. 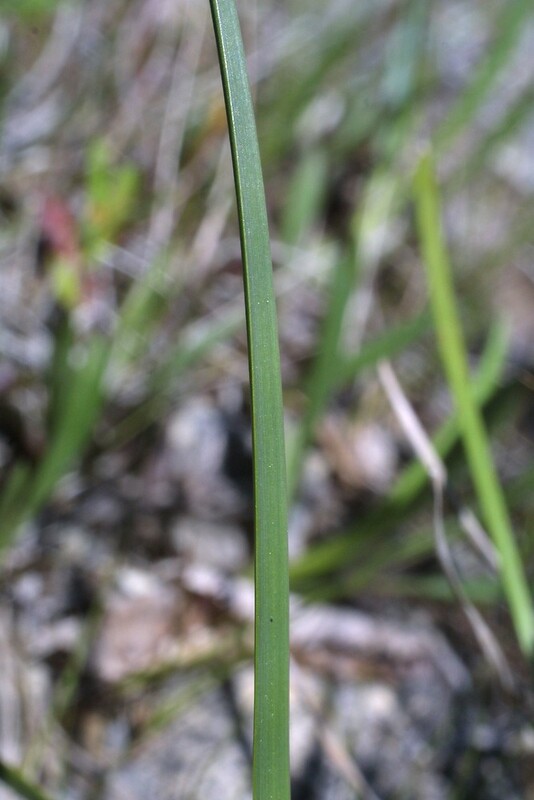 True to its name, the stems are very flat, being nearly 5 times as wide as thick. 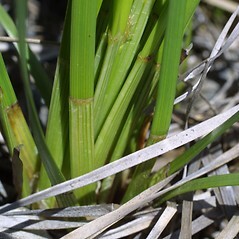 Look for persistent leaf sheaths near the base of the stem, which are sometimes reddish-brown near the top. 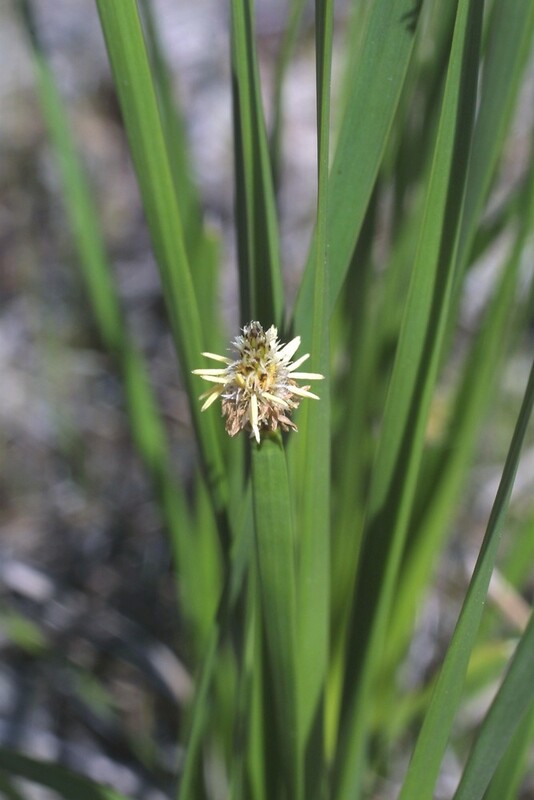 stems angled, 1-2 times as wide as thick, and floral scales in basal portion of spike not bifid at apex (vs. E. compressa, with stems compressed, 2-5 times as wide as thick, and floral scales in basal portion of spike often bifid at apex). 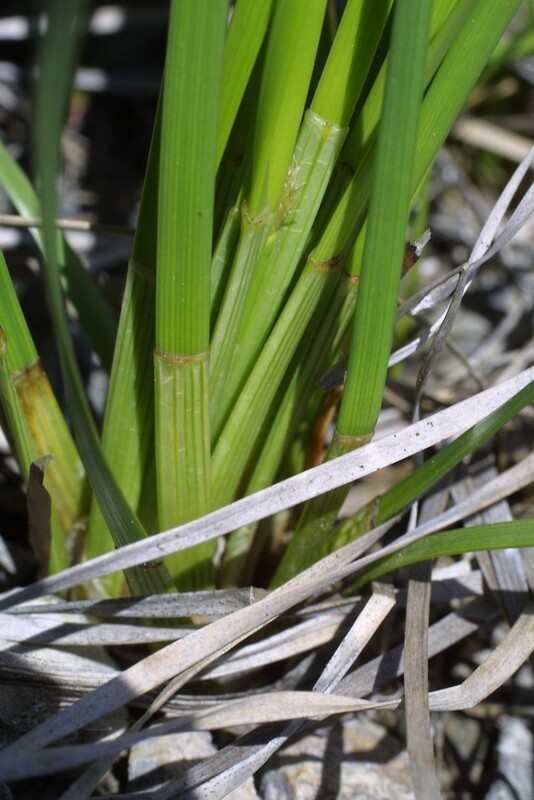 Our variety is Eleocharis compressa Sullivant var. 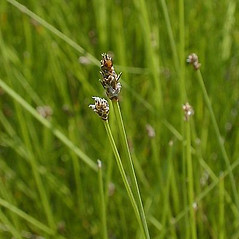 compressa. 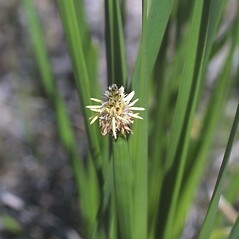 flat-stemmed spikesedge. 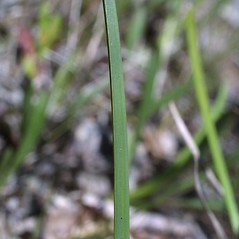 Eleocharis elliptica Kunth var. compressa (Sullivant) Drapalik & Mohlenbrock • VT. 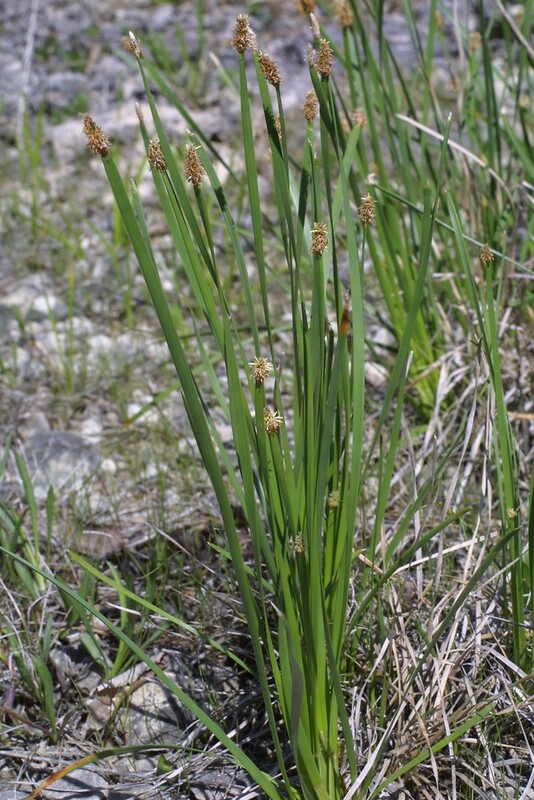 Seasonally wet soils of lake shores and limestone headlands.